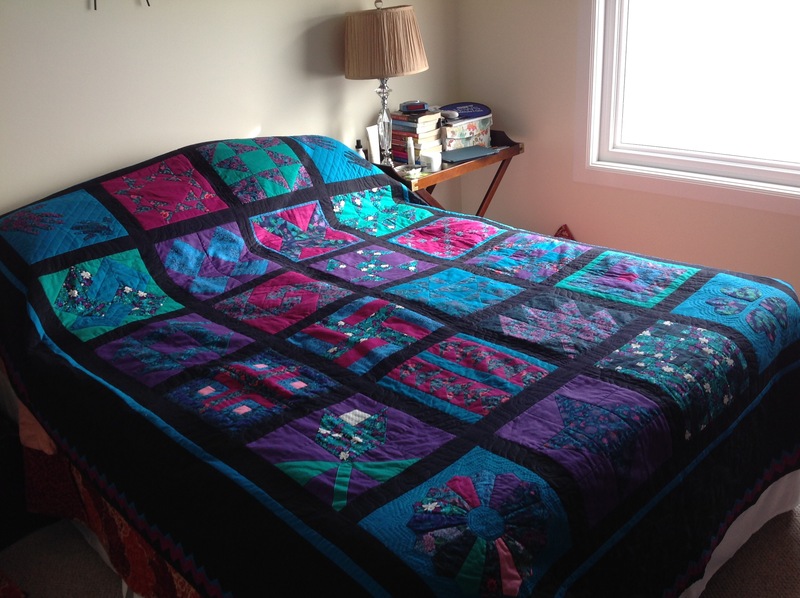 I was asked by the Edmonton and District Quilt Guild to do the free motion quilting on one of their charity quilts. 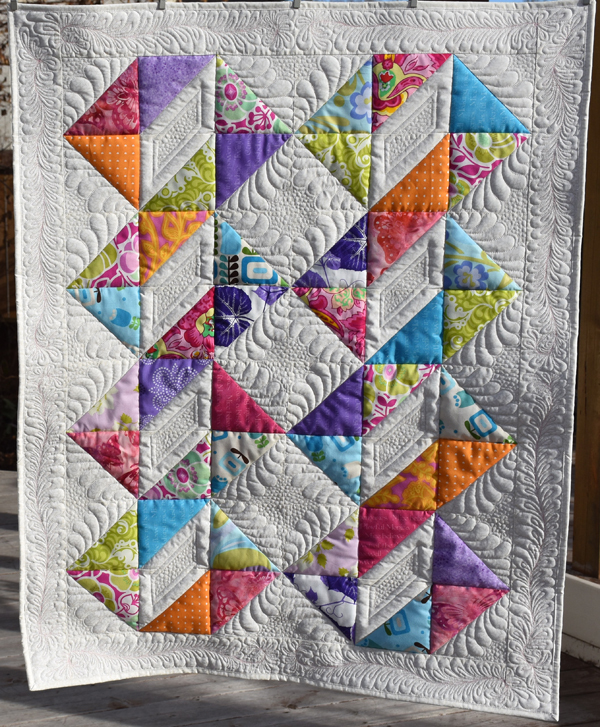 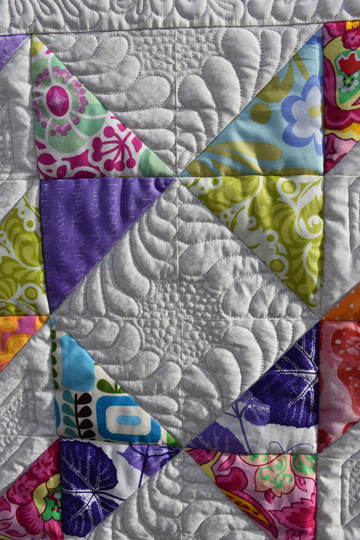 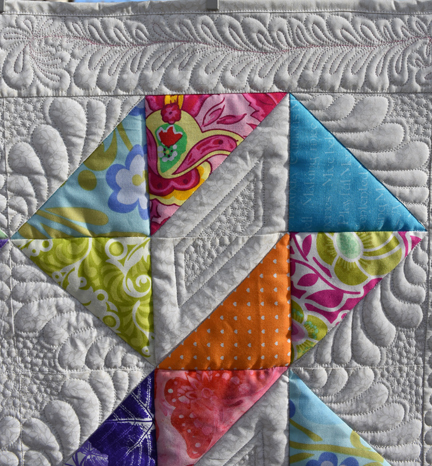 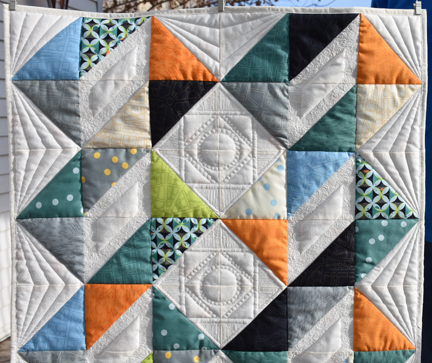 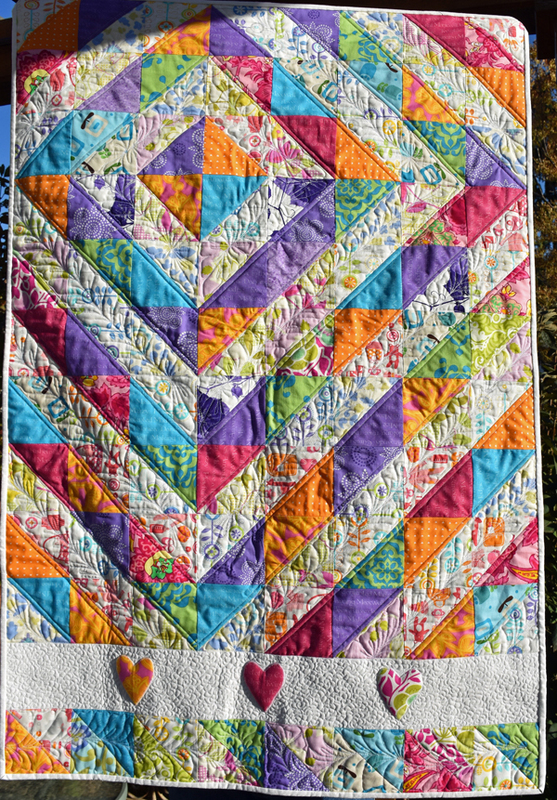 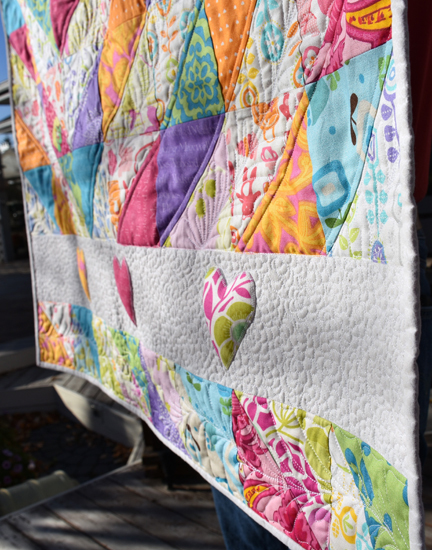 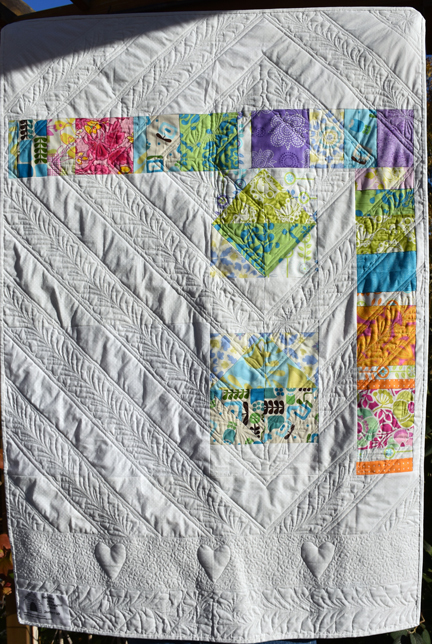 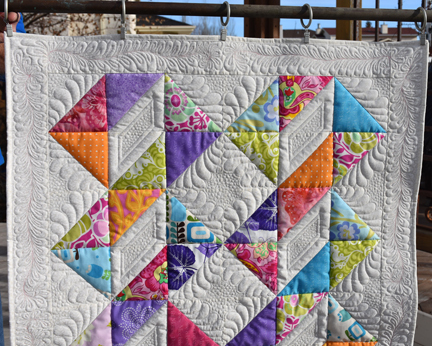 Instead of using an edge to edge design I decided to do a little custom quilting: feathers in the border and each block quilted uniquely. 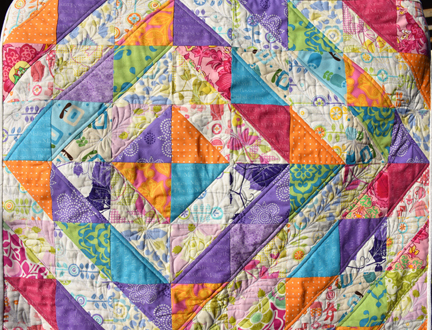 Here is the back showing some of the FMQ. 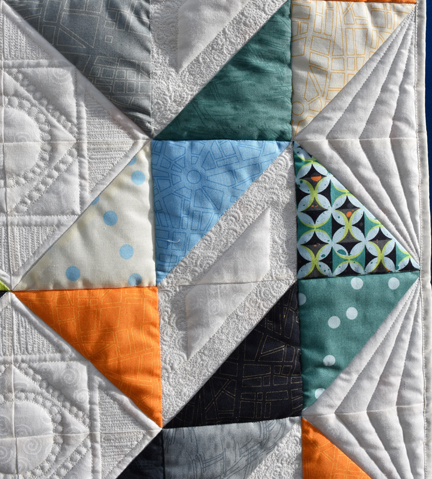 Our guild is collecting baby quilts for Our Lady of Grace. 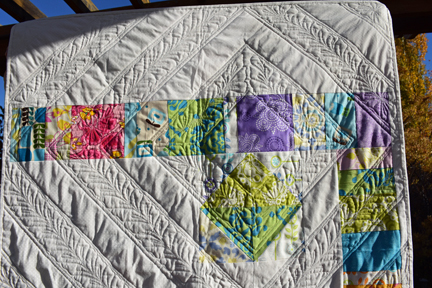 The quilts will go to pregnant or parenting teens. 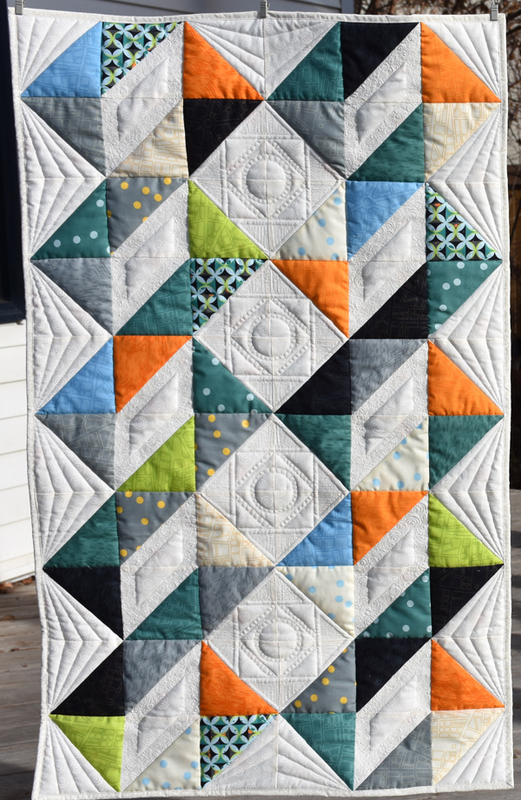 I’ve made a boy and girl’s version. 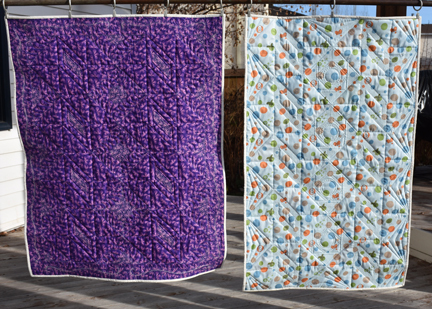 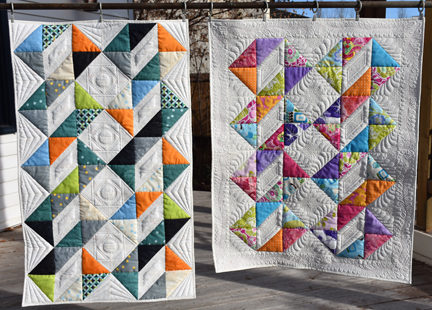 I went a little overboard with the quilting, what else is new, but hopefully whoever gets them will like them.